June 20, 2014 June 18, 2014 LauraLeave a Comment on Drink Me: Tea Market, Bora Bora. Drink Me: Tea Market, Bora Bora. I happened to stop into my local tea shop last week while shopping for a gift for a friend and I found that their summer teas were out! 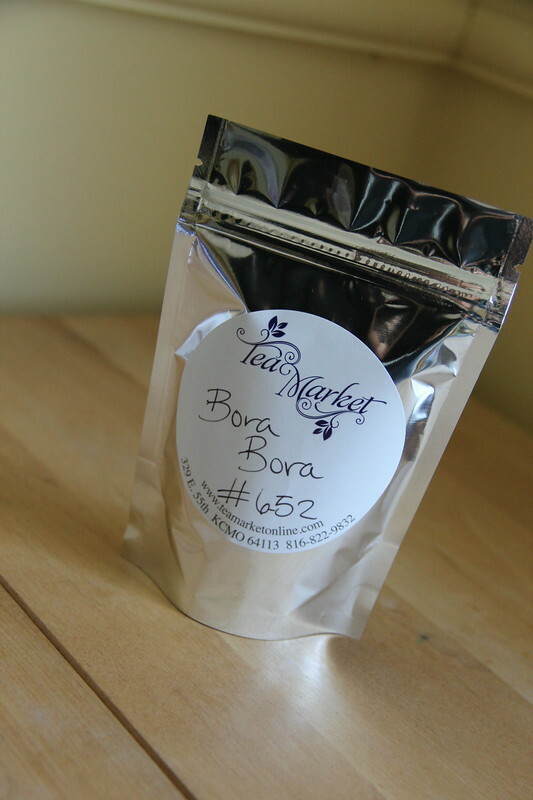 I debated for a bit but settled on trying some of a blend called Bora Bora. The description said that it was a black tea with strawberries, raspberries, mango, papaya, apples, currants, citrus and safflower petals. All I knew was it smelled sweet and tropical and I wanted some. It was available for $4.35 per ounce. The second I opened the bag all I could smell was the papaya. Once brewed I still smelled mostly papaya. 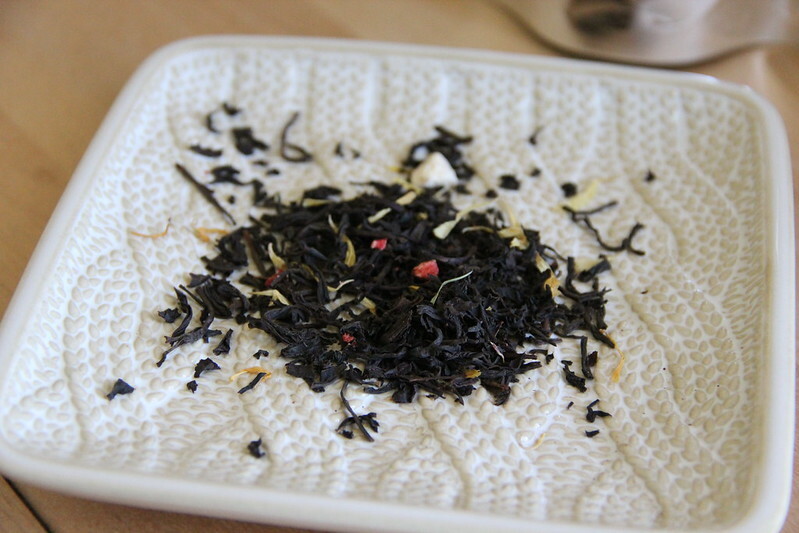 The tea itself was a little milder than I thought it would be, a good black tea tinged with fruit flavors. I really enjoyed this and am sorry it’s a limited edition – I may have to go get more before it’s gone. That and a beach vacation!